Today’s sweet prima of the week goes to Ariana Grande! This pop culture singer and actress will be celebrating her 24th birthday on Monday and we are excited to wish you well as it sneaks up on you! After a devastating loss of 22 lives at Ariana’s Manchester show, she didn’t fail to stay positive and feel absolutely blessed. She proceeded to give her fans a shout out for all the love and support after the traumatic attack. This did not stop her from performing once again, she however ended up postponing the tour to raise over twelve million for the We Love Manchester Emergency Fund and Red Cross in memory and support of those injured and lost during a benefit concert. Ariana continued her support system by visiting those injured right in their hospital beds. This would have easily pushed the all of the survivors’ strength during a treacherous time. 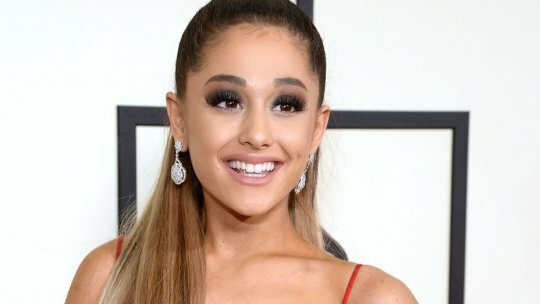 Ariana demonstrates how strength and selflessness is all it takes to overcome the bad. She was caring and fearless, which is a perfect example of why she is a trailblazing role model. We hope your birthday is filled with nothing but the best, and that 24 is a year full of greatness! Previous Post Fast Fashion? More Like Fast Beauty! – Forever 21 Opens Beauty Boutiques.